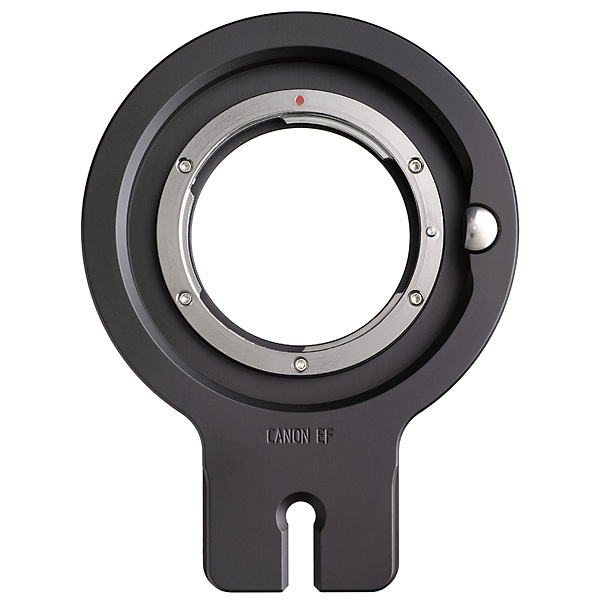 This lensplate allows you to mount lenses fitted with a Canon Eos bayonet, in combination with the ACTUS view camera. The finish of the ACB-CA plate matches the ACTUS-B version. 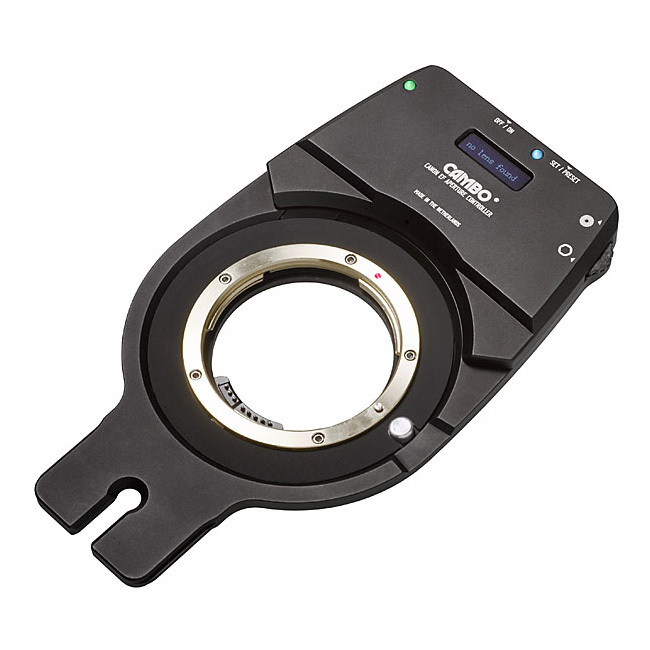 The ACB-CA can also be used to set the aperture of those lenses that have only motorised aperture. The internal battery is rechargeable. The used focal length and the current aperture are displayed on a OLED screen on the lensplate. The practical use of lenses may be limited to those that can move freely in front of the bayonet of the used camera body, due to the recessed position of the chip in certain bodies. 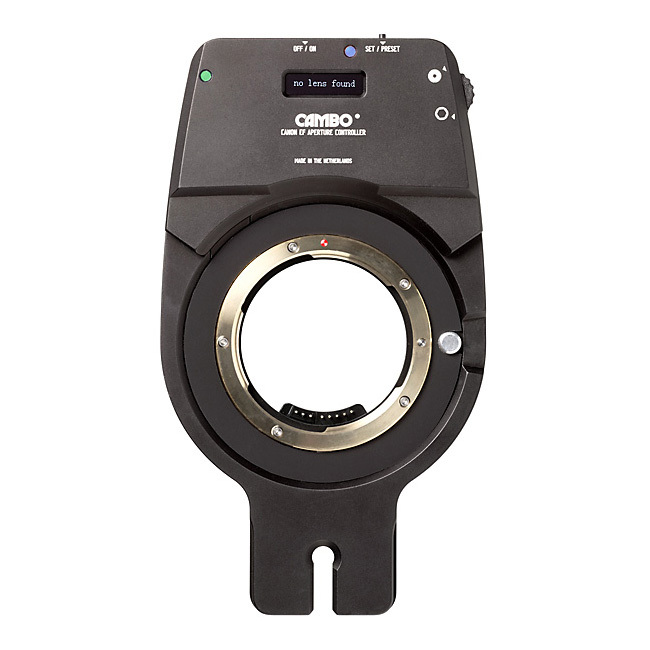 The ACB-CA only works with mirrorless camera bodies* for setting at infinity (and closer). * See also our product configurator for which ones. note: Canon lens not included. The ACB-CA includes an internal battery, which can be charged with the micro-USB connector. The ACB-CA comes with a (rechargeable) Powerbank that allows -when fully loaded- for 2 recharges of the internal battery. 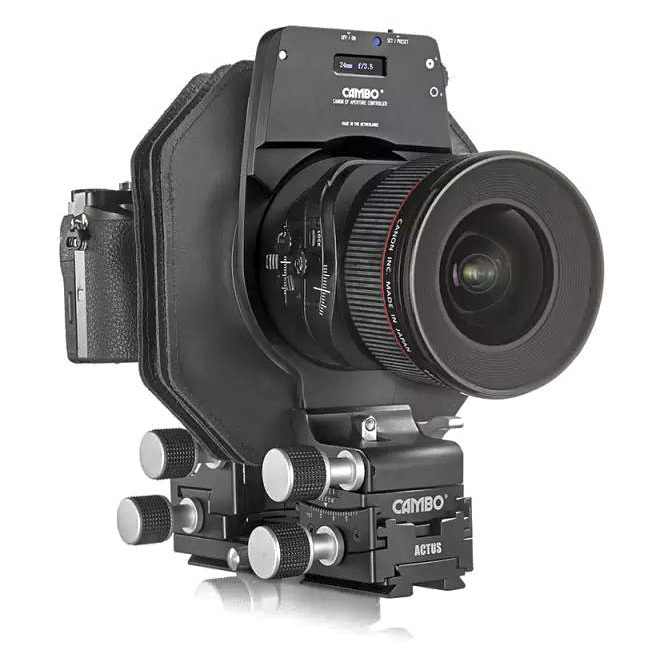 Operates electronically the aperture of (almost) all Canon EF lenses with motorised aperture. 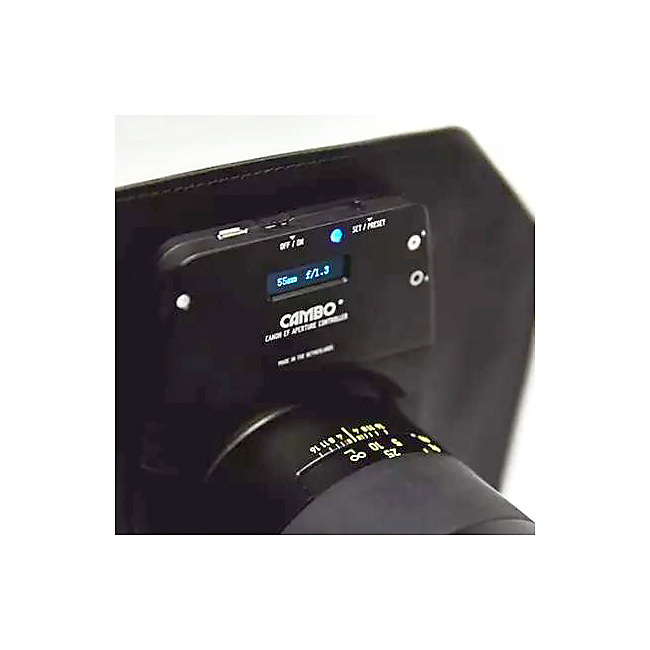 Automatically recognises and indicates full aperture range and indicates actual focal length, also with zoom lenses. 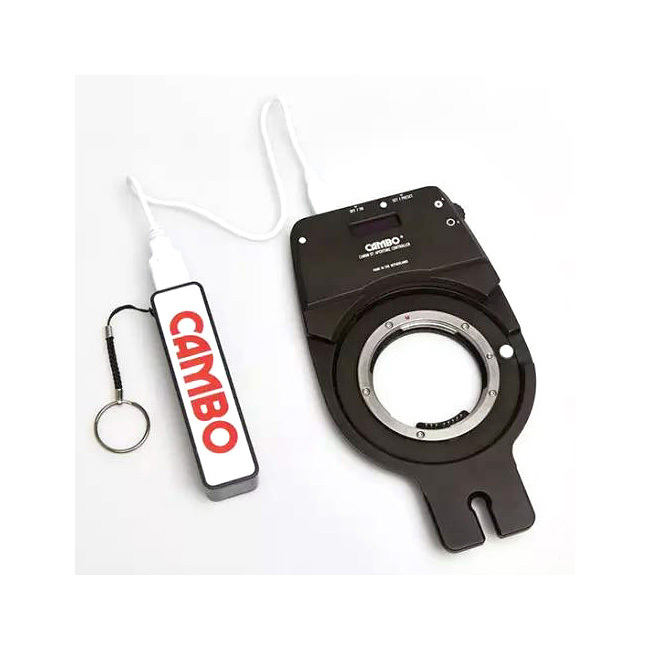 Note: there is no electronical connection between camera body and lens on this adapter. 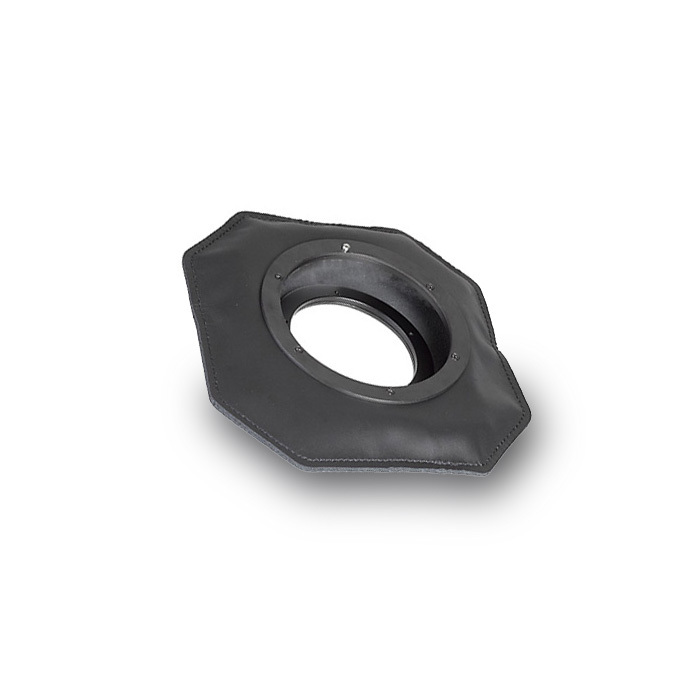 The use of a wide angle bellows AC-212 is strongly advised with this ACB-CA.